Newest rofvape mist 60w sub ohm kit, made of high-quality stainless steel and pyrex glass material, four fashionable colors available, the rofvape starter kit includes mist battery and mist tank. the battery built-in 2200mah battery and max output 60watts, only direct output working mode, the vape tank can hold 2ml e juice, with kanthal 0.25ohm coil heads, no leaking or burning issues, will bring vapers deep flavor and massive cloud and give you better vaping experience. 1)If the tanks use sub ohm coils, vapers must be sure that your device and batteries can handle sub ohm coils, only recommend experienced users order this, extra safety precautions should be practiced when using a sub ohm tank. 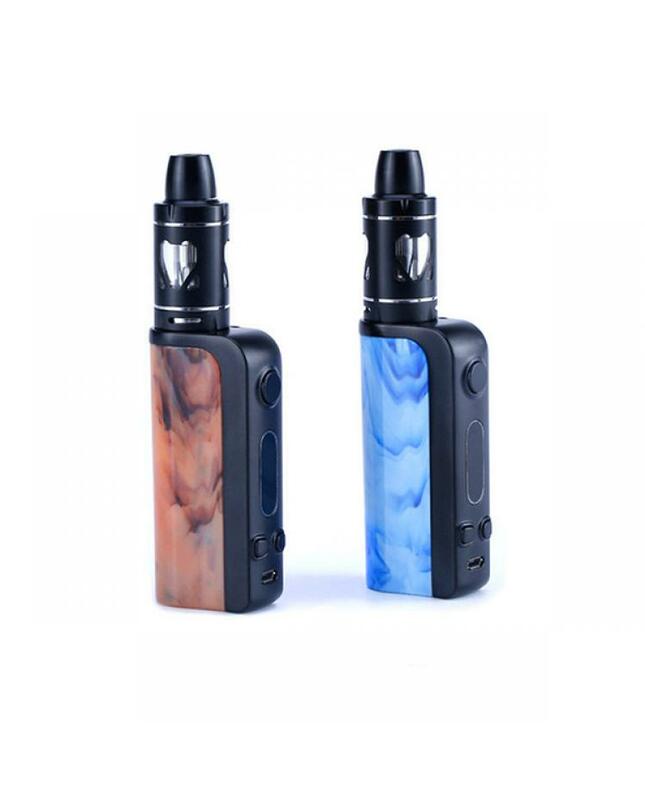 the tank only work with the mod that can support the atomizer and coil.if you have a tank and resistance is 0.3ohm, you must sure that the mod or battery can support resistance low to 0.3ohm.improper use and lead to injury or damage.use the OHMS LAW Calculator to check.if you have question,please feel free to contact us. 2)if the coils are sub ohm coils, the user should be sure that the tank and mods can handle the sub ohm resistance coils, please make sure you have the great understanding of them, if you are not sure, please do not order and use, welcome contact us any time to get help. 3)users need pay attention to Li-ion cells when vaping.the batteries very sensitive to charging characteristics and may explode or burn if mishandled.so vapers must have enough knowledge of Li-ion batteries in charging, discharging and assembly before use. please use the fire-proof surface battery charger, never leave charging battery unattended.we will not responsible for damage for the human reason or mishandling of Li-ion batteries and chargers.the device always recommend work with rechargeable lithium-ion IMR batteries with min output current 20A or higher. 4) Smokstore will not responsible or liable for any injury, damage, defect, permanent or temporary that may be caused by the improper use of Li-ion battery, coils, tanks, mods etc.please have a basic knowledge of batteries.welcome to contact us anytime to get help.